Entertainment critic, Enoch Agyapong, has taken Creative Arts Minister, Catherine Afeku to the cleaners for failing as a minister. He minced no words in describing the minister as a failure and incompetent. He told Prince Kwesi Dadzie aka Mr Handsome on GH Entertainment on Rainbow Radio 87.5Fm that, the minister should have been removed from office long time ago. In his view, the minister has exhibited high sense of incompetence. Enoch Agyapong is wondering why the actor was appointed without an assessment of the work done by the previous ambassadors appointed a year ago. He accused politicians of using the creative arts industry for their leisure and treating them as trash. According to him, politicians don’t regard the creative arts industry because if they do, they would have passed the Creative Arts Bill to make the Creative Arts Council a sensible institution. 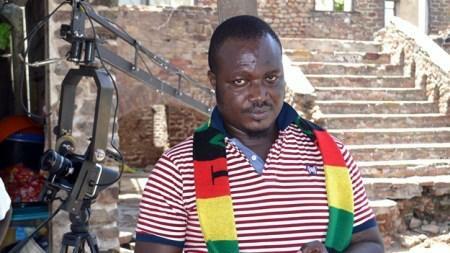 The appointment of Bill Asamoah and his pledge to ensure movie makers in Kumasi promote tourism through movies, would amount to madness if the Creative Arts Bill is not passed, he said. He said, people who are critical about the industry will continue to demand for the right things to be done and will not fall for petty things like what we are witnessing under the current minister. He underscored the need for politicians to treat the creative arts industry the needed attention and stop using them for their own parochial interest. 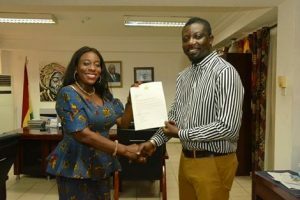 The Minister of Tourism, Arts, and Culture, Catherine Afeku has appointed actor Bill Asamoah as the new Ambassador for Tourism in Ghana. The Minister, in a Facebook post, said the actor was unanimously nominated by members of Kumawood (the local movie industry) after months of deliberation. According to her, Bill Asamoah pledged to promote Ghana to the world through quality movies and enhance the business aspect of film making to attract investors. Her post read: “Yesterday, Bill Asamoah was at my office to pick up his appointment letter as a Tourism Ambassador for Ghana.